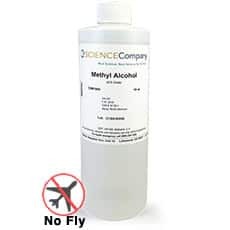 ACS Grade Methyl Alcohol or Methanol, 16oz for sale. Buy from The Science Company. 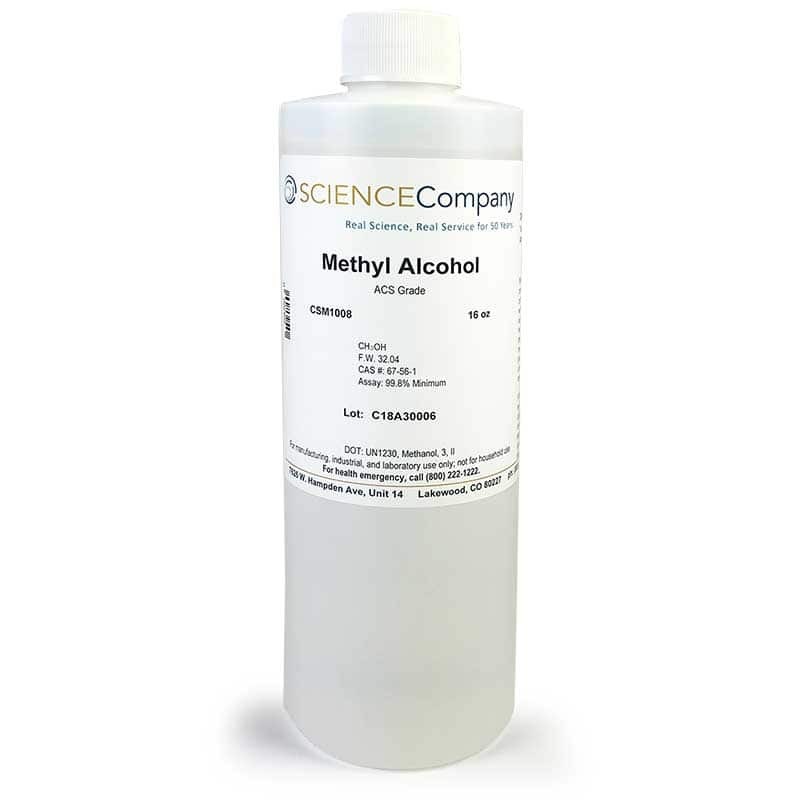 Our ACS Reagent grade Methyl Alcohol (Methanol or Wood Alcohol) assays to greater than 99.9% pure. It is a colorless, toxic, flammable liquid commonly used in chemical synthesis of formaldehyde and as a gasoline extender in the production of gasohol and MTBE. Caution: Methyl Alcohol is flammable and a dangerous fire risk. Only ships to destinations within the 48 contiguous US states and Canada using Standard Ground. No air deliveries allowed.